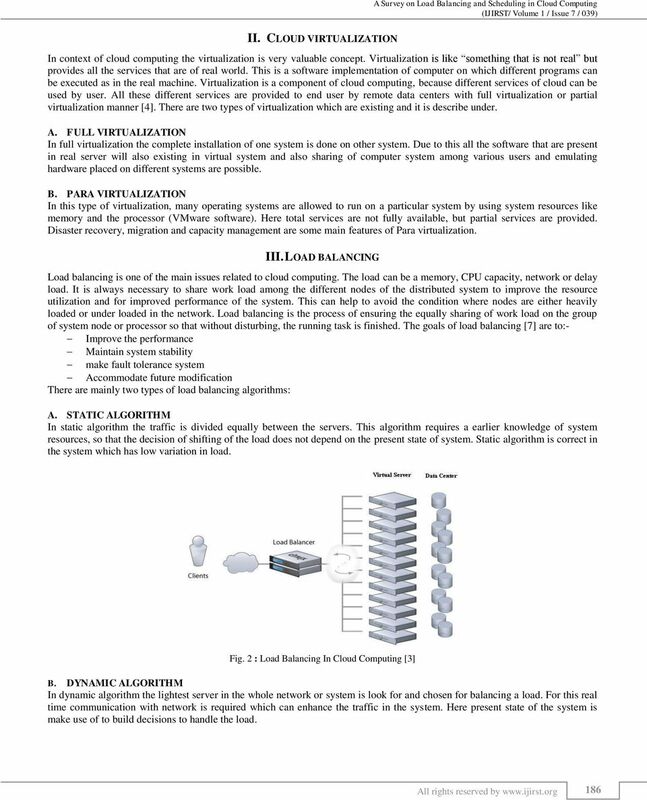 Download "A Survey on Load Balancing and Scheduling in Cloud Computing"
Load Balancing Strategy of Cloud Computing based on Artificial Bee Algorithm 1 Jing Yao*, 2 Ju-hou He 1 *, Dept. of Computer Science Shaanxi Normal University Xi'an, China, ruirui8718@163.com 2, Dept. 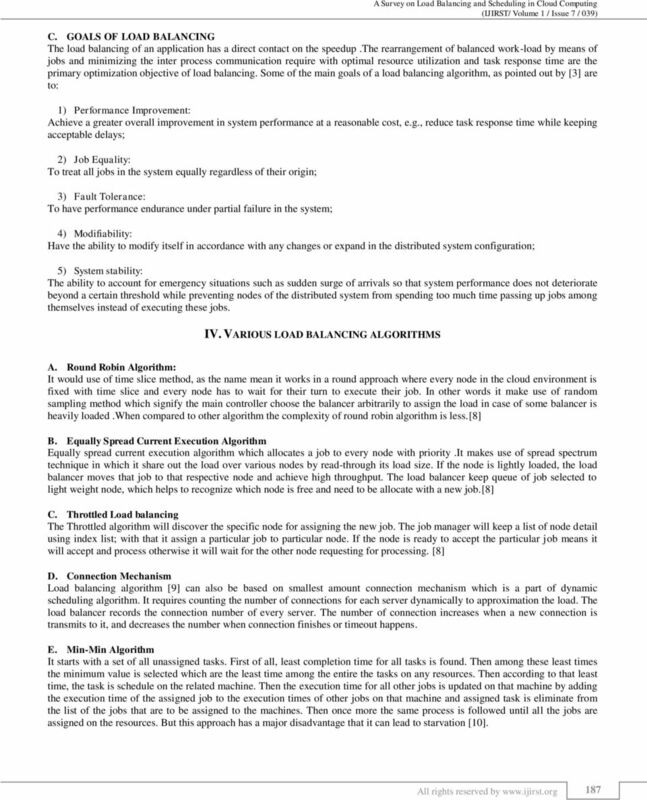 Dynamic Load Balancing Algorithms For Cloud Computing Miss. 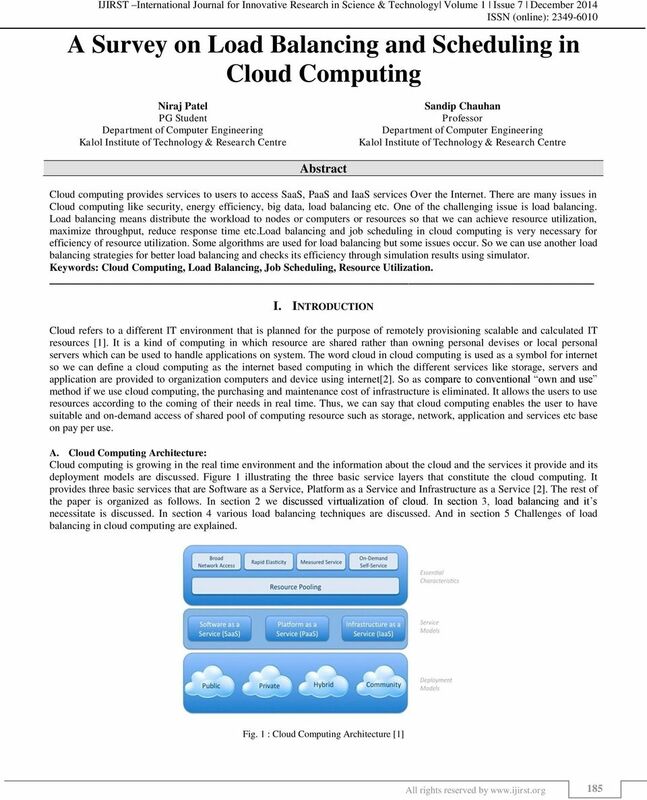 Nikita Sunil Barve Computer Engineering Department Pillai s Institute of Information Technology New Panvel e-mail: niki.barve@gmail.com Prof.
85 Different Strategies for Load Balancing in Cloud Computing Environment: a critical Study Amandeep 1, Vandana Yadav 2, Faz Mohammad 3 1,2 Dept. 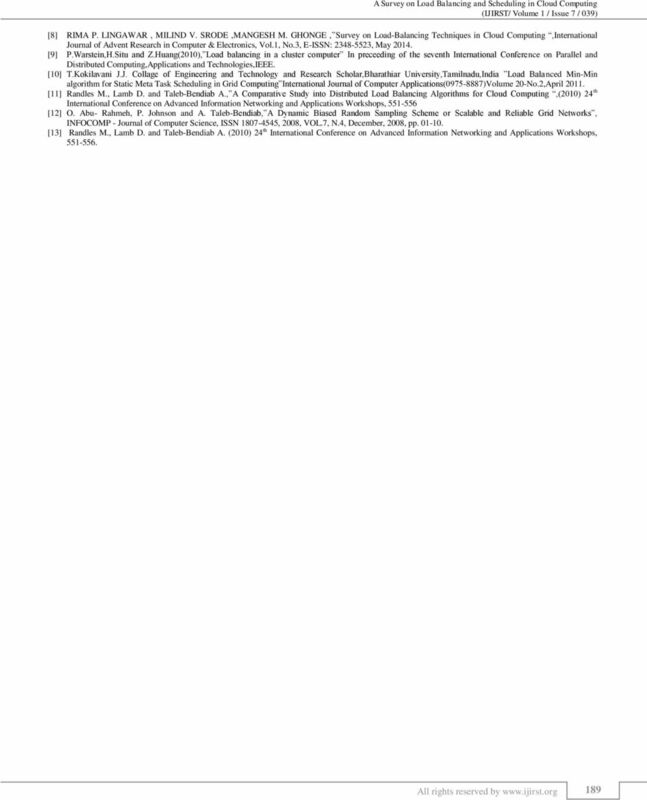 of CSE, Galgotia University, G. Noida 3 Asst. 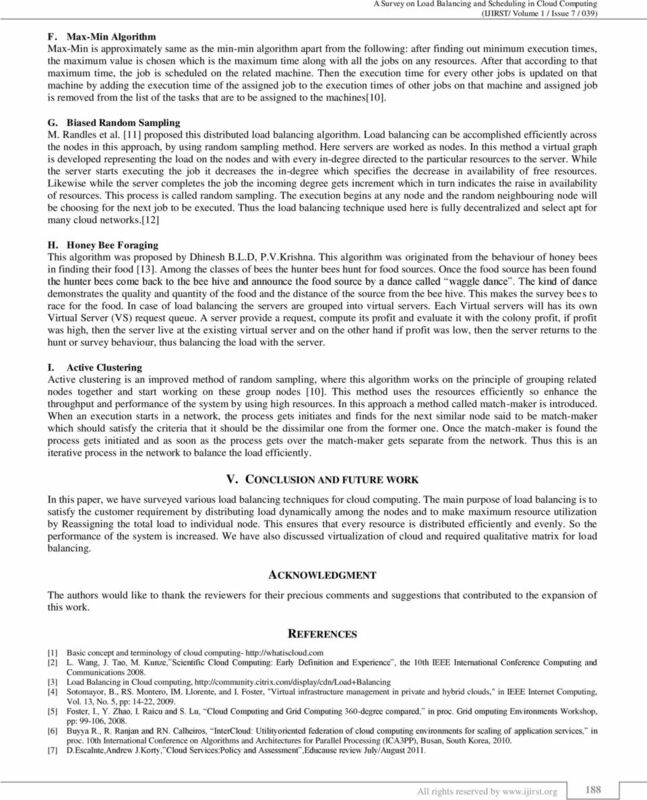 Prof., Dept.